Info: Created on 4th August 2009 . Last edited on 25th September 2014. It does create a nice pattern. I like how the middle square plays a relevant role in the style by being there or not. Very clever! 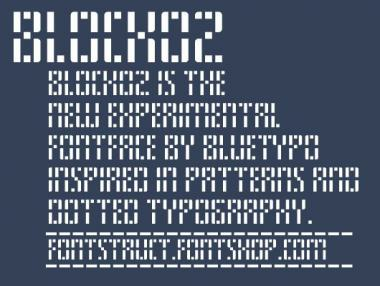 BTW, Manolo, welcome to the FontStruct community! 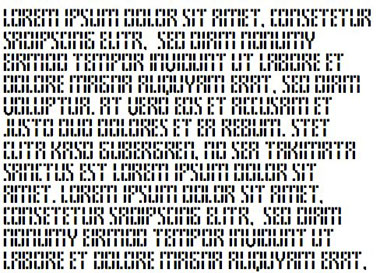 yes, there are some readability issues. Test HK UV AR. Em42 thanks for the comment. I preferred the previous version for K R V: less readable, but more correct.